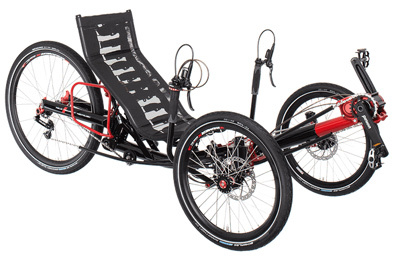 There are a few broad classes of recumbent folding trikes. 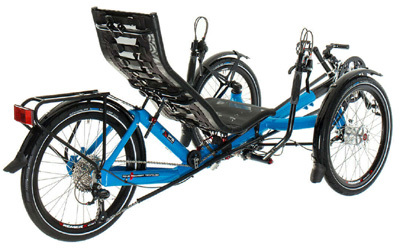 Coupled trikes don’t actually fold, but they separate into two or more pieces. This is a less expensive approach, and has the great benefit of leaving you with several smaller, separate pieces to pack up as you can. 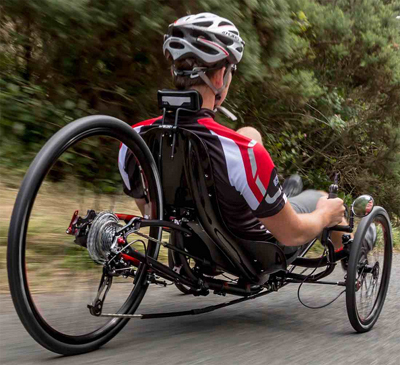 AZUB trikes come standard with couplers, with a folding hinge available as an upgrade. The TerraTrike Rover separates into four easily managed sections. 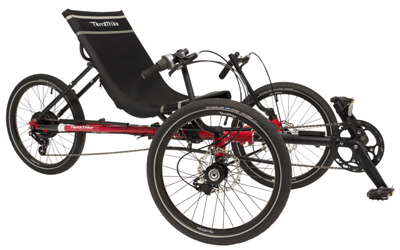 1-piece folding trikes have the seat back fold down over the seat base and the rear end of the trike tuck up under the front end. This results in one, compact object, usually with dolly wheels on it. It is very easy to move around in its folded state, and folds up with fewer actions, but the one piece is heavier than separate pieces, and is still a larger object to pack. 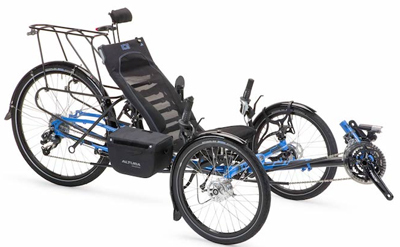 Folding Catrike models are all examples of 1-piece folding. 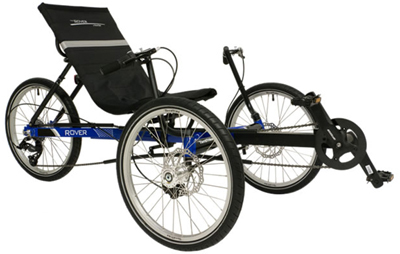 2-piece folding trikes typically have you remove the seat and then fold the rear end over the front end. 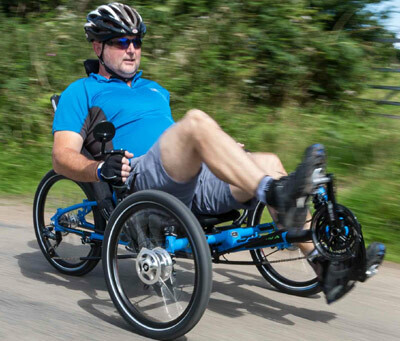 The folding action is easier since you don’t need to lift the whole frame in the folding process, though you do have to fiddle under the seat to get it detached. Oh, and once you load that frame in your car, don’t drive off and forget the seat! (Hear ye the voice of experience). ICE and AZUB folders are 2-piece, and the ultra compact TerraTrike Traveler can go into three pieces. 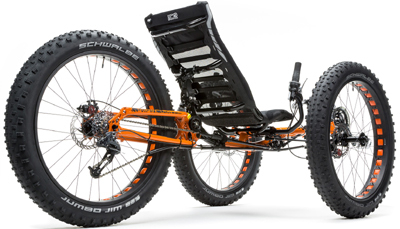 AZUB’s ultra-compact option folds up the frame in 2 places. The Traveler can fold in 3 places.